We offer support services for students of color and LGBTQ+ students on campus. Bring your whole self to Evergreen. Students can meet together at the Student Equity and Arts Lounge for a variety of purposes. We support your academic and personal success by providing comprehensive academic, career, cultural, social and personal advising. We also provide community building and educational events from a cultural wealth and empowerment perspective. Join in fun events and activities. Receive peer and professional support. Develop skills for advocacy and allyship. Have space for discovering your identity. Get help from people who get you! 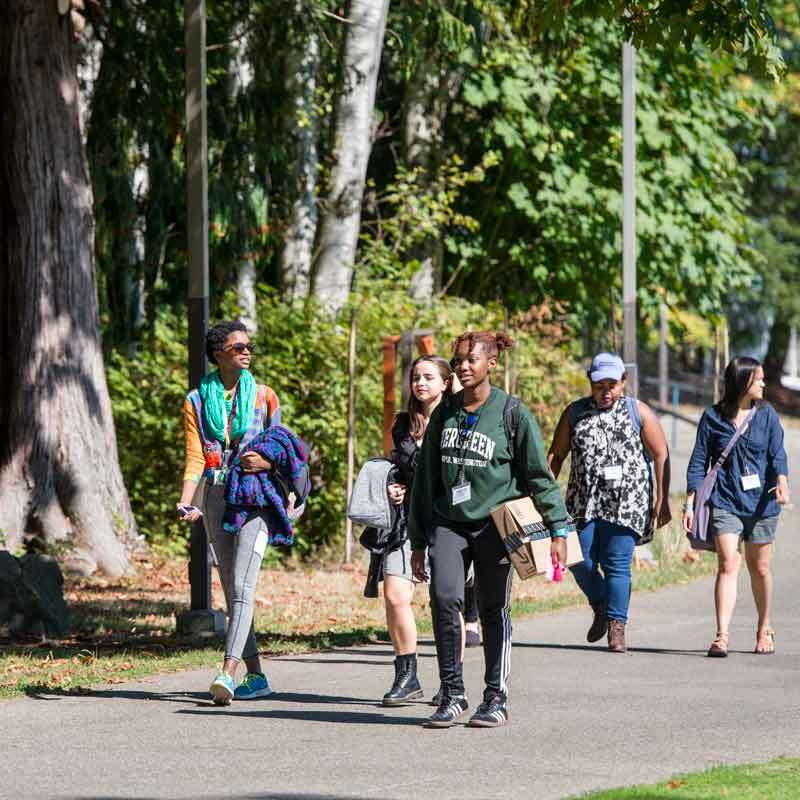 Our trained professional and peer advisors are on hand to help you navigate and understand your Evergreen experience, and to support you as a whole person. 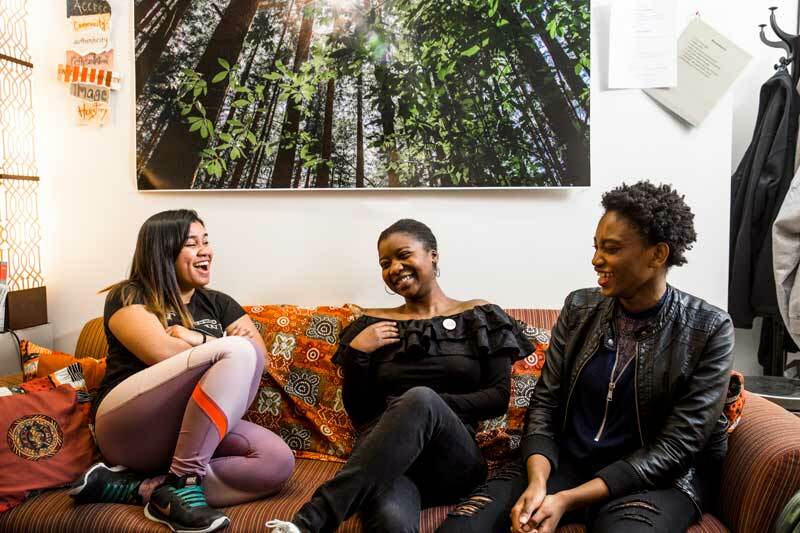 The Student Equity and Arts Lounge is a welcoming and inclusive space for studying, meeting up with friends, attending a workshop, or just taking a minute to recharge. 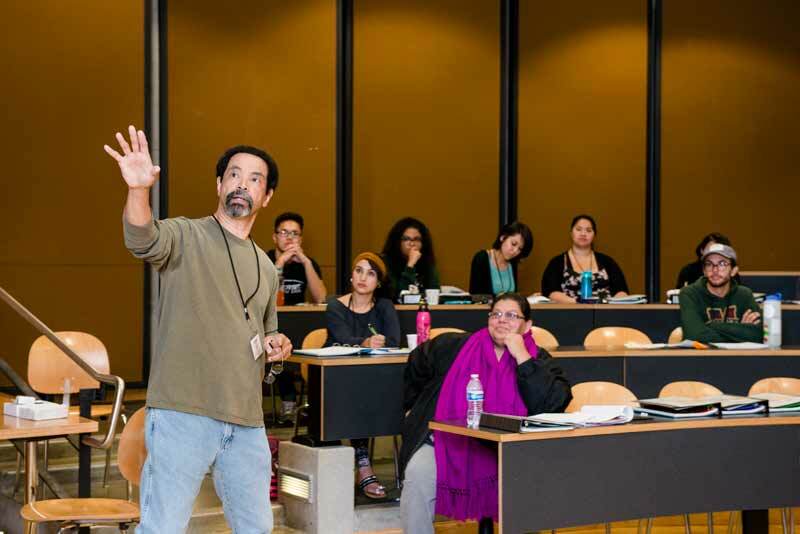 Chico Herbison leads a class session with the Multicultural Scholars program that takes place the week before orientation week. Come to the Student Equity & Arts Lounge. Drop into our offices in CAB 227 or call 360-867-6467 for one-on-one support. Want to work at First Peoples? Now accepting Peer Navigator and Peer Coordinator applications for the 2019-2020 academic year! See a list and map of all-gender restrooms on the Olympia campus at https://www.evergreen.edu/facilities/locations.